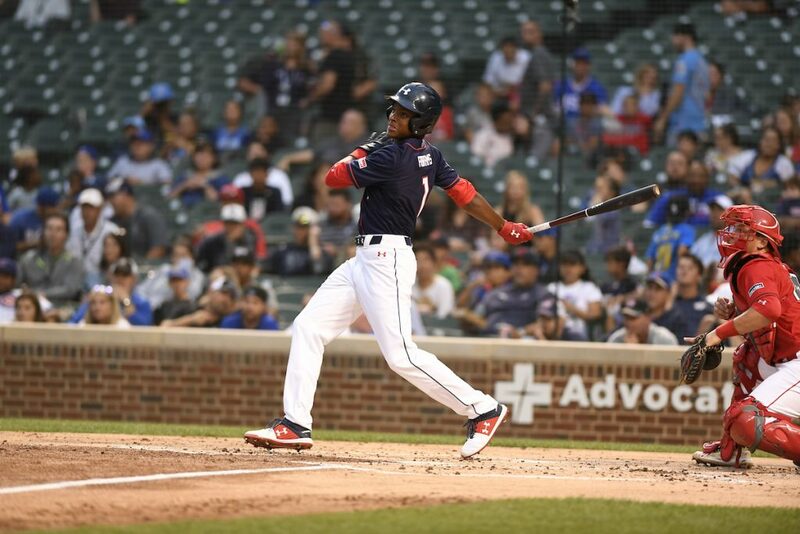 The first inning went like this offensively for the National team: double to left from CJ Abrams, ground out shorstop, two-run HR to right from Riley Greene – just like that, up 2-0 after only three hitters. The American team came back in the top of the third inning to post three runs, and at that point it looked like we might be in for a slugfest. It didn’t turn out that way though. The National hitters collected a total of six hits on the night, and were issued only four free bases – a big part of the story. 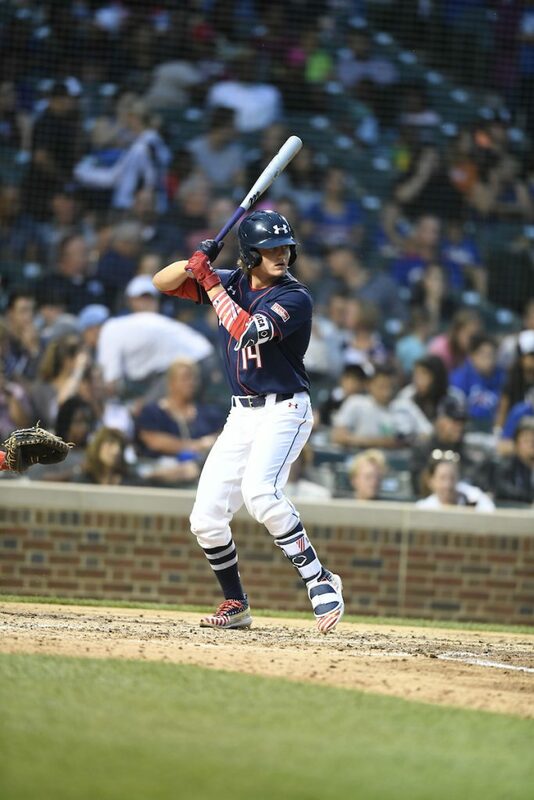 Let’s take a look at the National team position by position with scouting report write-ups coming from Baseball Factory scout Andy Ferguson and Baseball Factory’s Executive Vice President Steve Bernhardt. 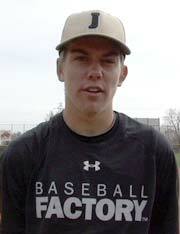 Carpentier combines intangibles with a solid set of tools at a premium position. He showed leadership ability and a comfort in working with pitches, along with good hands to receive and a coordinated release that produced workout pop times with accuracy in the 1.90 to 1.95 range. His left-handed stroke is built on a feel for the barrel more than bat speed or strength, he seemed to see the ball well and is able to make adjustments to get the good part to the ball. It’s more of a line drive and gap type approach, but he has some ability to get the ball up in the air and out of the ballpark. Overall, he’s a competitor with a usable and well-rounded set of tools. French has obvious physical size and strength on his medium 5-foot-11 frame. Everything he does is compact and coordinated, leveraging that strength and combining it with body control. He’s got some rhythm to hit along with surprising ability to carry the ball a long way to the biggest part of the ballpark – he actually even surprised himself a few times. His power is surprising only in the fact that his stroke looks to be more built for raw strength to impact the ball, but he’s got enough looseness to allow him to extend through and drive the ball with backspin. Behind the plate, his workout throws were between 1.89 and 1.95 from a super compact release. He blocked a number of pitches in the dirt with runners at third base during the game, offering an insight to his instinctual ability to react to incoming pitches. While there are a few in the 2019 class faster than Abrams in the 60 yard dash, nobody plays the game faster than him. A left-handed hitter that’s quick out of the box and even quicker underway, he regularly posts home to first times around or slightly under 4.0 seconds. He’s a better hitter in the game than he is in BP, where he is able to react and use his athleticism. As evidenced by his double the other way to lead off the game, he’s got some pop in his bat. It is easy to see him fitting at the top of the lineup with a usable hit tool and game changing speed. Defensively, his hands and feet looked at shortstop and his arm was fine. He’s a quick twitch defender with body control to vary his arm angles depending on where the ball takes him. He played center field late in the game after splitting the first six innings between shortstop and second base, and some see him there long term instead of in the dirt. In either case, he’s an impact offensive player at a premium position, putting him easily among the most coveted players in the 2019 class. Similar to Anthony Volpe on the American team, Carter Young is an advanced baseball player with a well-rounded and usable set of tools. The sum is better than the individual parts thanks to his natural and instinctual feel for the game. He showed life in his feet defensively with fluid actions and coordinated release. While it works at shortstop, he has the potential excel on the other side of the bag. His right handed stroke is simple repeatable, and a he has a knack for squaring up a high percentage of pitches. Listed as a switch-hitter on the roster, he only hit right-handed during his time in Chicago. 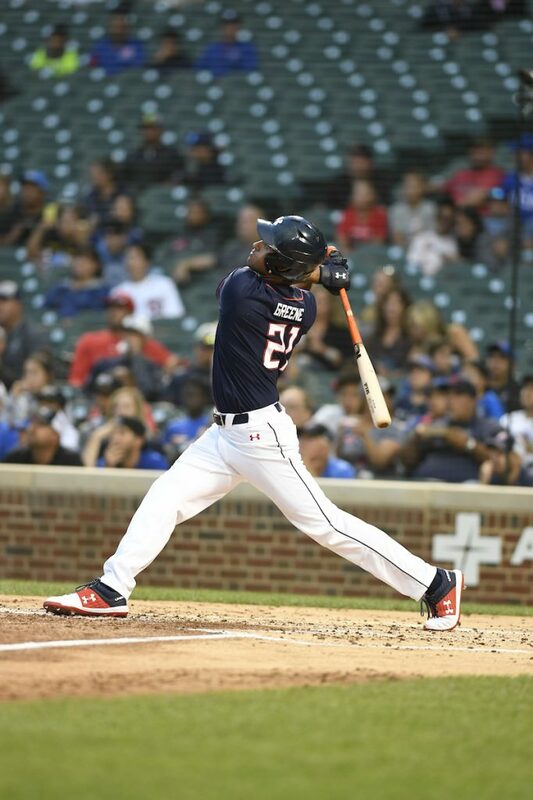 Hinds put on the most impressive home run derby display in recent memory — maybe the best ever at the Under Armour All-America Game. 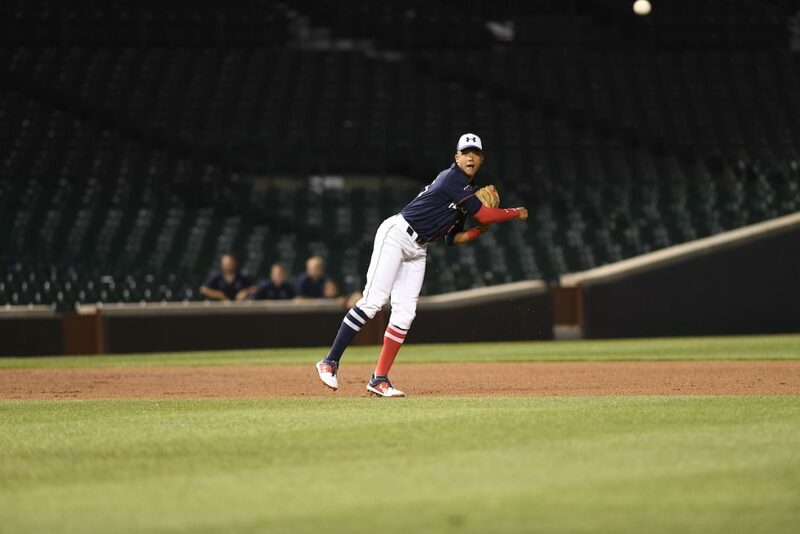 During his semi-final round, he launched 13 home runs to blow away the field and cruise into the finals, where he clinched the derby title in walk off fashion with about 45 seconds left on the clock in his round. Hinds undoubtedly has the best raw power in the 2019 class, the hang time and carry distances he generates are simply amazing. He must prove he can hit enough to get to that power however. The pieces are obviously in place, but history tells us that big raw power guys are under a microscope, and must hit in games leading up to the draft. Defensively, we were pleasantly surprised with his actions and athleticism. His hands were pretty good, he showed body control when moving laterally, and has plenty of arm – giving him a legitimate chance to stay at 3B. A slender a wiry 6-foot-2 and 178 pounds, Sanchez has a lot of pieces to build on as he gains strength. His right-handed swing is built on rhythm and balance, with quick hands and the ability to get the barrel to contact. He grounded to first on a 92 mph fastball in his first at bat, and then made a really good pass at an 88 mph fastball for a fly out to center field. Defensively, he showed good hands and spun the ball across the infield with ease. He’s got quickness and life in his feet to go with a good first step, allowing him to play with fluidity through the catch and into the release. 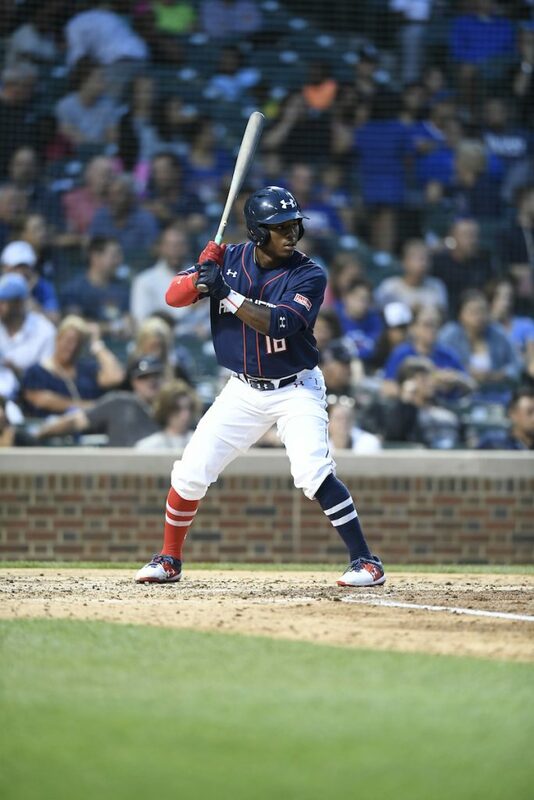 Still raw in terms of physical development, there’s a chance that he can stick at shortstop and show more of the big arm and speed that we’ve seen from him in the past. Locklear is big and physical 6-foot-3 and 215 pounds. He’s got strength in his right-handed swing, and he’s able to impact the ball for power when he gets the barrel to it – especially to the pull side. A versatile defender capable of playing either corner infield spot, he worked out at third base and showed solid feet and hands. If he throws enough he’s got a chance to stick there, but he may fit better on the other side of the infield at first base. Valero featured a good right-handed stroke with rhythm to hit, and was among the best in the group in terms of squaring up a high percentage of pitches in batting practice. The ball came off his bat very hard and with great backspin. 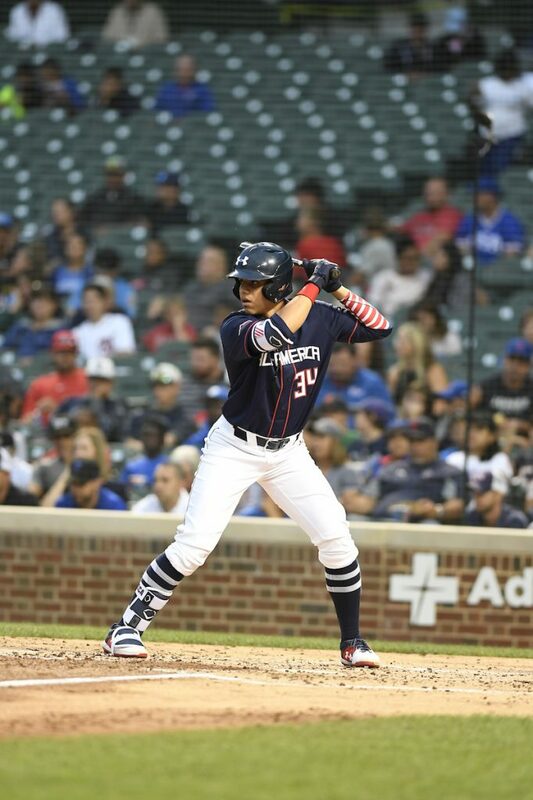 He makes so much hard contact that it’s easy to see him developing usable power as he matures, which makes him an attractive overall offensive prospect. He’s a versatile defender with ability to play anywhere in the infield. His actions have some length and he looks more apt to make the throws required from the right side of the infield than the left, so he could likely fit the profile of an offensive second baseman. Jones is a naturally gifted all around player, and was among a pair of two-way players on the National team. He showed a nice left-handed stroke in batting practice, with a feel for adjusting with the barrel to get the good part to contact, and at times was able to cut it loose and produce some raw power to the pull side. A good overall athlete and a capable defender, Jones started and played four innings at first base before coming in to pitch in the sixth inning (more on that in a future post). Somewhat similar to Bobby Witt, Jr., Jud Fabian produces surprising power from a swing that doesn’t look built for it. It’s a very loose and easy right-handed stroke, and he produced impressive power in stretches. He qualified for the home run derby semi-finals, where he went on a run to leave the yard six times. His move is built more for the hit tool than power, but the fact that he can get to power already makes him especially intriguing. Defensively, he showed the best overall combination of actions and arm strength. He moved with ease and fluidity, got rid of his throws quickly, and then made strong and accurate throws from a clean and easy arm stroke. He most likely fits a corner OF profile the best, but he’s got enough feel and awareness to potentially fit in CF. Hampton has one of the higher ceilings of any player in this group. Like Jerrion Ealy on the American team, Hampton is scheduled to play in the upcoming Under Armour All-America football game as a defensive back. He is strong and solid 200 pounds on a 6-foot-1 frame, and can generate speed but doesn’t come through in actions. His right-handed stroke is short and he can impact the ball with authority, but he has clearly not fully tapped into his potential as a hitter. Similarly, in the outfield he moved naturally through the ball, and used raw strength to make throws. If he were to focus only baseball he could really explode. Even now, on almost pure athletic ability he has enough speed and strength to play center field and to handle the bat against high level competition. Among the most naturally gifted hitters in the 2019 class, Greene had the best collection of game at bats among all players — just as has been the case just about everywhere he’s been. He drove a hanging curveball off the right field scoreboard in the first inning to get the scoring started, and then lined a one hop missile the other way for a single to left field in the sixth inning after grounding out sharply to first on a breaking ball in the third. Though his swing isn’t necessarily the picture of an ideal setup or prep action, he instinctually gets the barrel there and keeps it in zone forever. His move is so easy and fluid, the ball really appears to jump off his bat. He’s a good enough athlete and runner that there’s a chance he could cover CF, but he profiles best as a LF that will hit in the middle of the order. 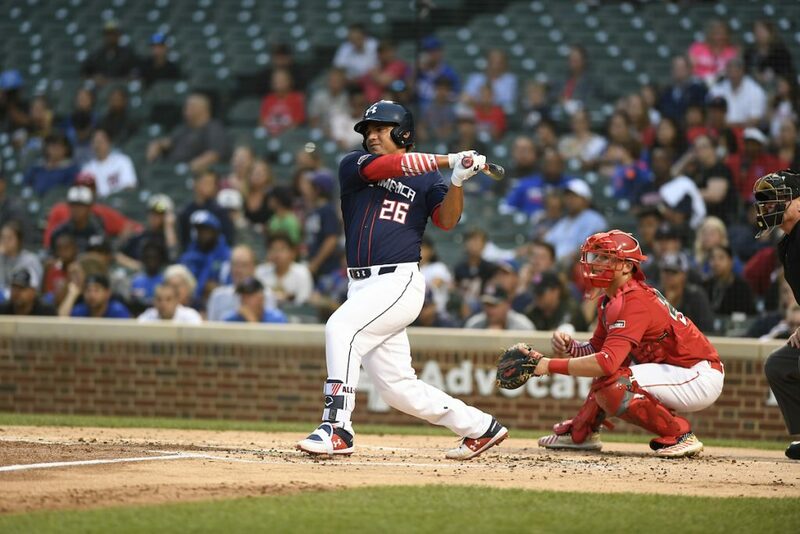 Rivera has natural rhythm to hit and makes a strong and full move through contact to produce easy left-handed raw power. 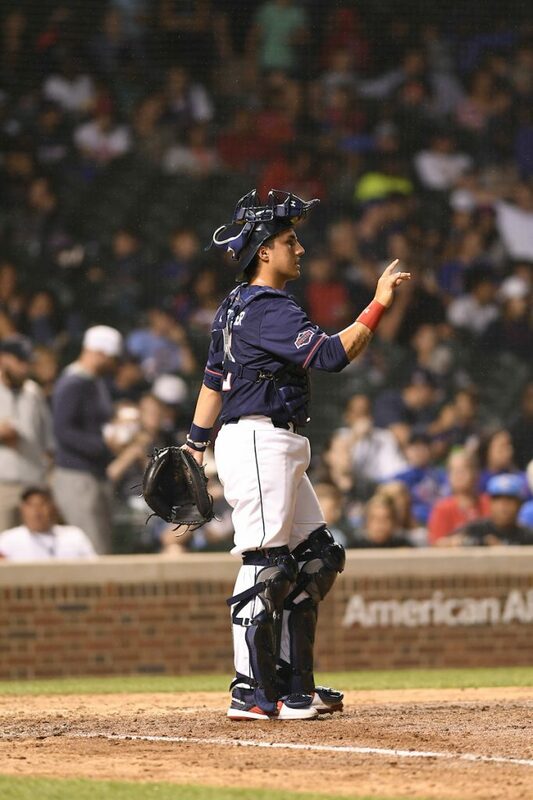 It’s a simple move overall, and one that allowed him to square up a high percentage of balls in batting practice. Defensively, his throws came out with great life and carried on line to the target with that same life. It’s a big outfield arm, and one that fits perfectly in right field. He’s got athleticism to be a solid outfield defender, and also reached into the low 90’s with his fastball. 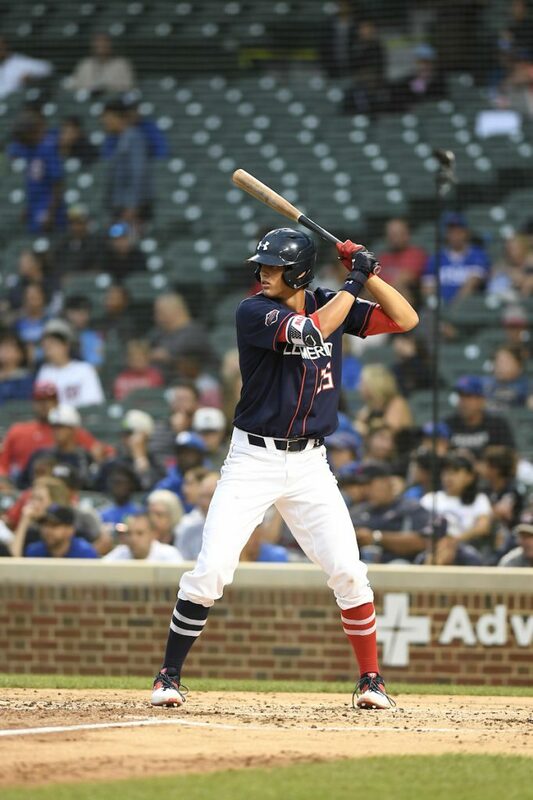 Overall, he fits the profile of a prototypical right fielder with a strong arm and a combination of hitting ability and raw power to make him on of the better long term offensive prospects in the group.